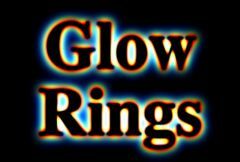 Generates glows of colored rings around the areas of the source clip that are brighter than the given threshold, and then combines these with the source clip. This is similar to GlowRings but here the glow colors are also scaled by the Mask input. Width Green: Default: 1.5, Range: 0 or greater. Width Blue: Default: 2, Range: 0 or greater.